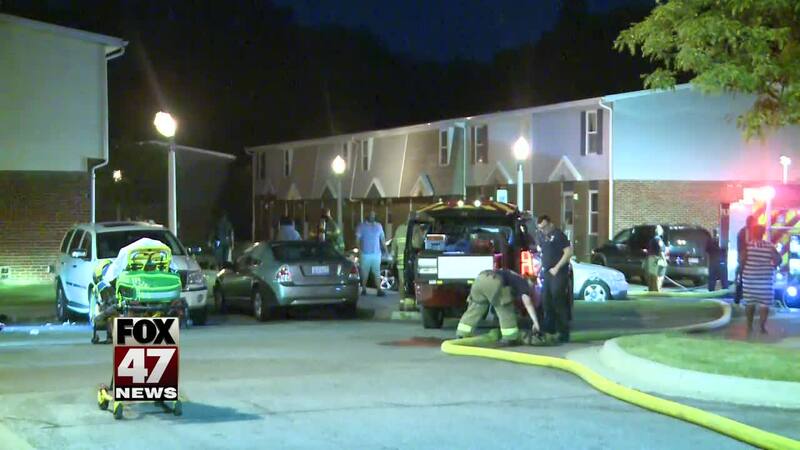 UPDATE: An investigation is underway to figure out what caused an apartment fire that killed a woman and a child Thursday morning. The child was Elijah Brown and the woman was his mother, Tarshrikia Beasley. June 7 was her birthday. The Lansing Fire Department says they got the call at 4:27 a.m. and arrived at the LaRoy Froh Townhomes located AT 2436 Reo Road by 4:30 a.m. to heavy smoke and fire conditions. They said upon arrival there were two people located in the apartment upstairs. Firefighters confirmed to FOX 47 that a 30-year-old woman and her 5-year-old son were inside the apartment when the fire started. Both of them were transported to Sparrow Hospital. It is not clear at this time if they died in the home or at the hospital due to injuries suffered from the fire. They say the fire was confined to the kitchen, however there was heavy smoke and soot throughout the house. A neighbor told News 10 that he called 911 and tried to get into the apartment but was unable to get inside because of conditions. Lansing Fire Department PIO, Steve Mazurek, told FOX 47 that smoke detectors are your only chance, especially at 4:30 in the morning. Investigation of the cause of the fire is on-going. This is a breaking news story. FOX 47 is working to get more details and will update the story as more information becomes available.